A 'wordless' picture book? Sounds like an oxymoron doesn't it? Well, wordless books can actually be a great addition to your reading shelf - virtual or otherwise. Wordless books are something to share with children of all ages. They're a fantastic way to explore, engage and educate children and vocabulary, storytelling skills and creative muscles can be stretched with wordless books. But best of all, and most importantly, worldless books are a sheer joy to behold! You can read the rest of the post here. 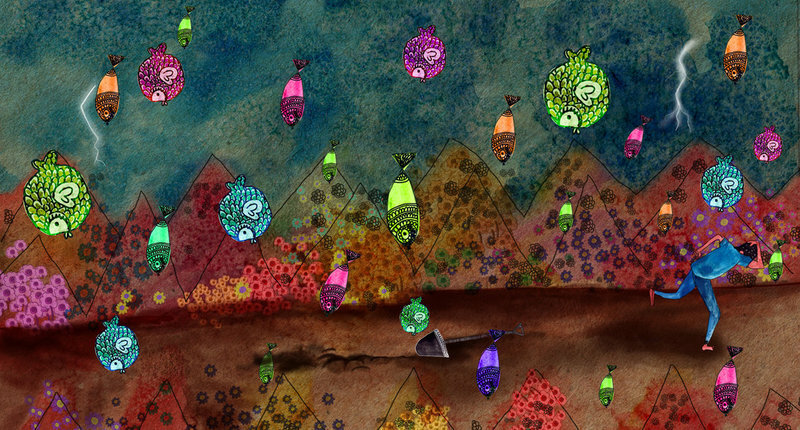 Wondering what to do with wordless stories? - Explore the story in a leisurely manner. Draw attention to the details - the expressions of the characters, setting, colours, etc. 'Out in the Garden' is a worldless story created with Sonal Gupta's illustrations that lends it self beautifully to this activity. - Encourage the child to build her own story. If the story is being shown to a group of children, you could ask each of them to contribute a sentence or two for each illustration. Take joy in exploring each illustration and build the story as you go along. - Use themes explored in the story to start a discussion. 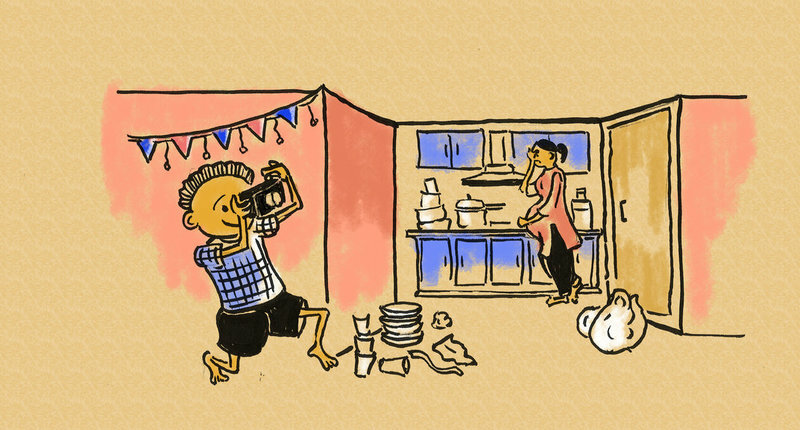 For instance, in the story, 'The Birthday Party' illustrated by Megha Vishwanath you could ask children about what they did for their birthday, or even how they help out at home. - Encourage children to create 2-3 different stories using the same set of visuals. This will help them explore their own creativity! Here are some lovely illustration sets to get you started! 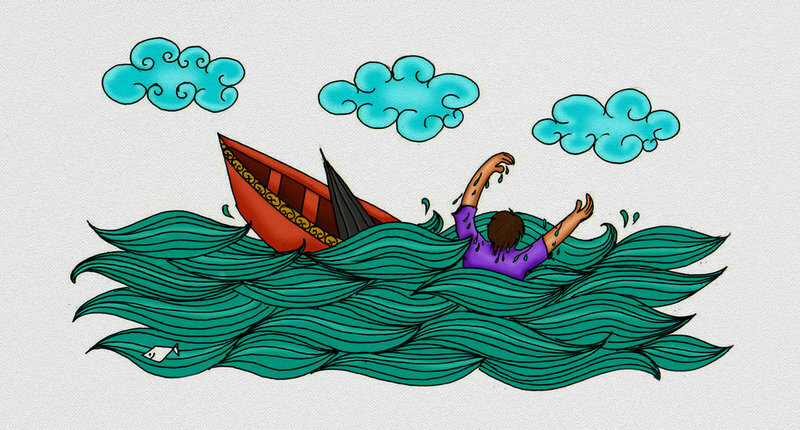 Muhammed Shafi's simple illustrations of a man in a boat. You can find more illustrations from him here. 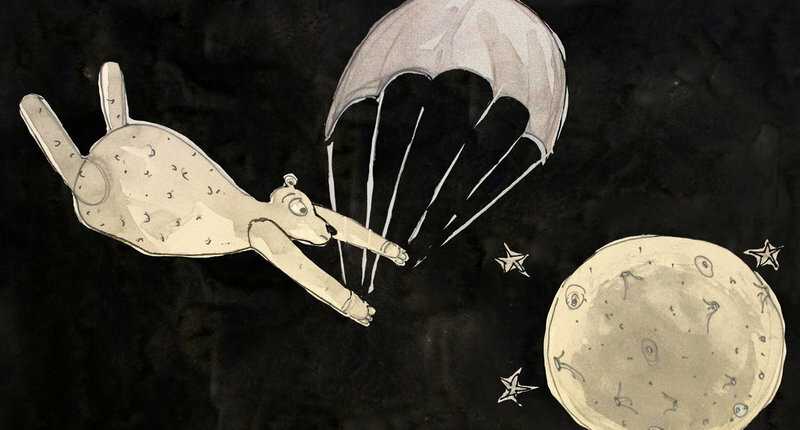 Aritra Roy's whimsical bear and its adventures with a parachute. You can see the other illustrations from this set here. If you'd like to see more amazing illustrations and inspirations for wordless stories, follow us on Instagram and watch our for our #6FramesFriday! We hope you enjoy reading and creating your own wordless picture books and sharing them! Do leave us a comment below or on our Twitter and Facebook page with #WordlessPictureBook.